First let me say another huge thank you for all the very kind comments on my last quilt/post. The Blogger’s Quilt Festival over at Amy’s was a huge success with over 600 entries. That’s a lot of quilt browsing!!! Well, our oldest daughter had a birthday last weekend and I was able to finish this little goodie for her. 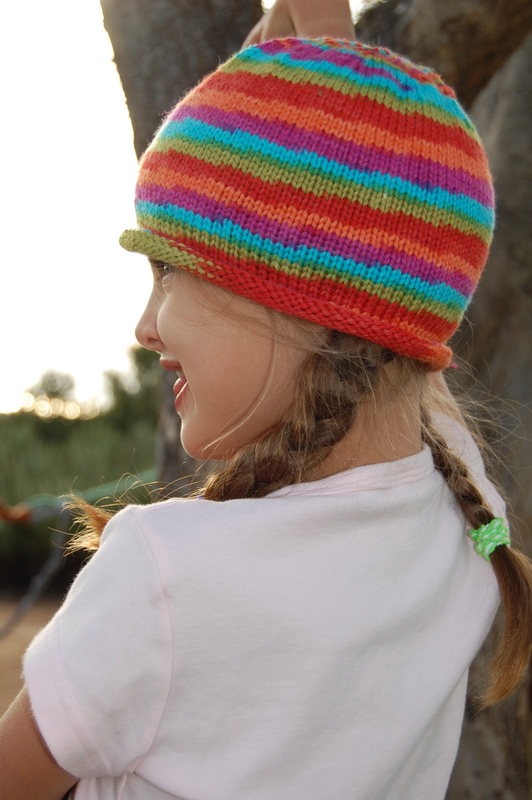 Many months ago she and I went to our local and much loved yarn shop, so she could pick out the color for her next beanie. 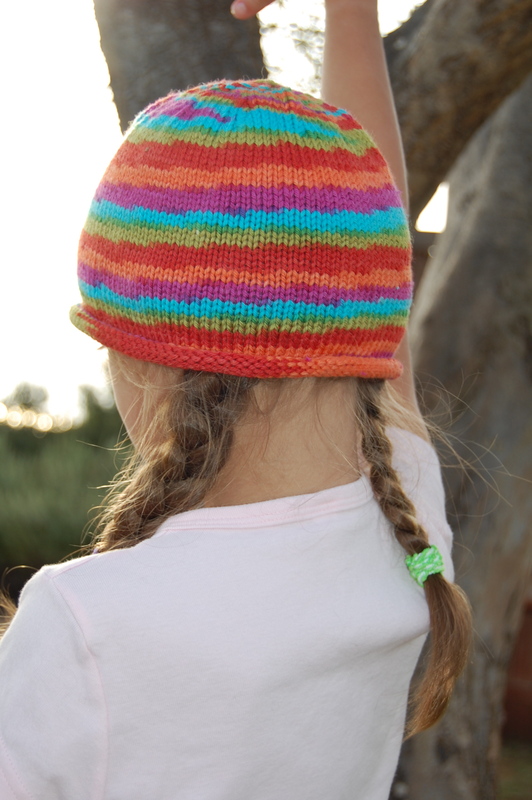 I am so inspired by this knitting mama, and can only aspire to be half as prolific as she is. But alas, I must focus on where my creative strengths are; knitting, while extremely relaxing and enjoyable, is not one of them. I think I’ll continue putting most of my creative energy into quilting/sewing. Anyway, I don’t remember the name of the yarn, some kind of really lovely superwash merino I think. 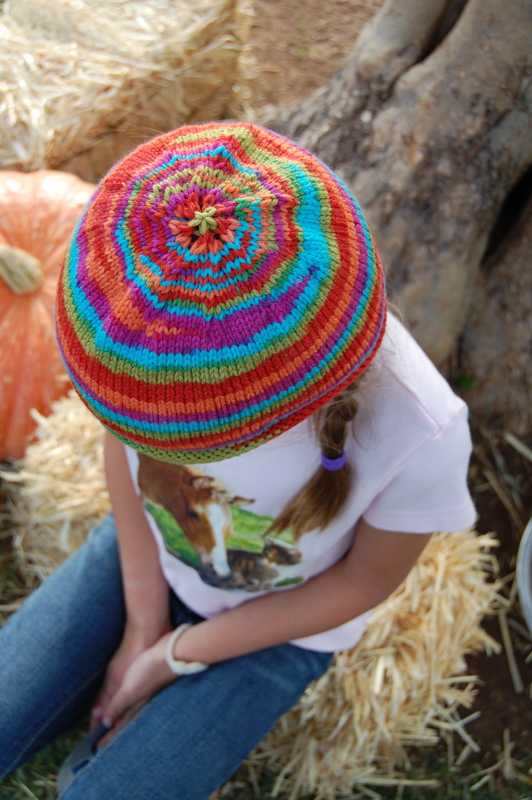 But the patterns that the color variation made in the hat were so fun. 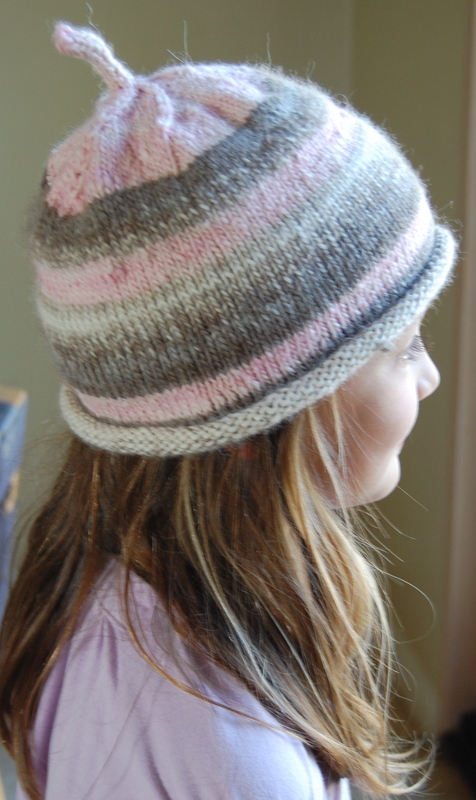 The first one I made was mama’s choice of color and she likes it……. but just had her heart set on rainbow!! This first one is for her “quieter” days!! Not sure how, but I completely forgot about adding in the i-cord this time. But I did sew in a little strip of fleece on the front so the wool doesn’t itch her forehead. She wore it all afternoon while making “avalanches” on the dirt hill outside. And….. I also received another teenee, tiny package in the mail today containing these lovely finds. 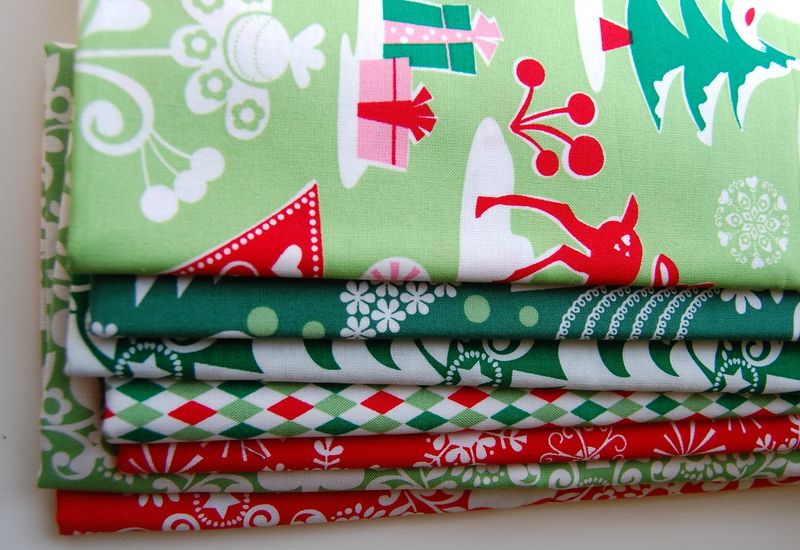 I kept looking at my original stack of fabrics that I had in mind for the family Christmas Tree Skirt that I have decided I will finally make this year, and I just wasn’t feelin’ the love. 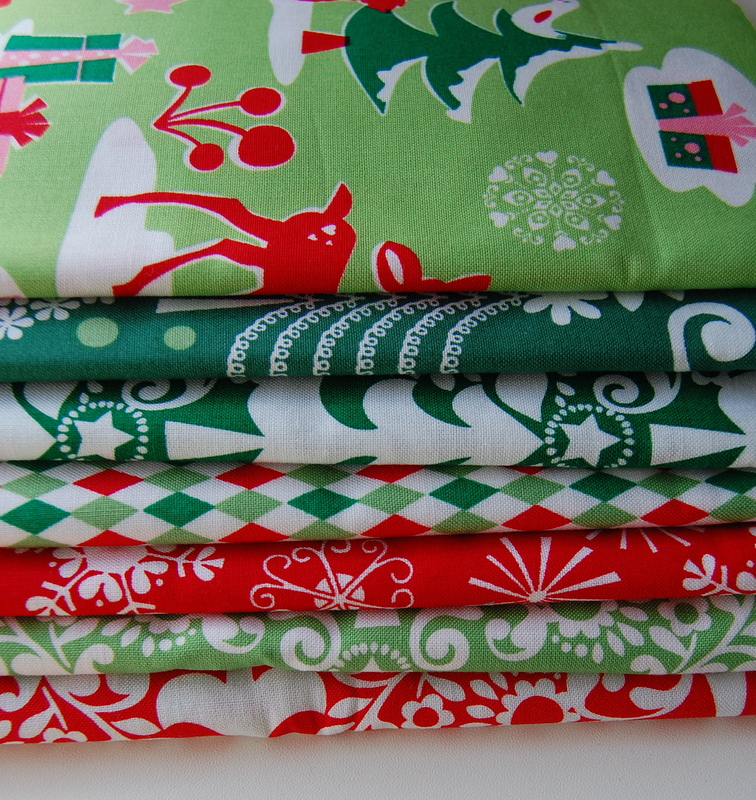 I love the fabrics but decided that together, they are a bit too “cute” for my liking. I’m thinking a bit more traditional and toned down-okay, you’re right, that top one doesn’t count, but I had to throw in a little fun and whimsy right? That hat is great–good taste Birthday girl. I think she likes it!! !